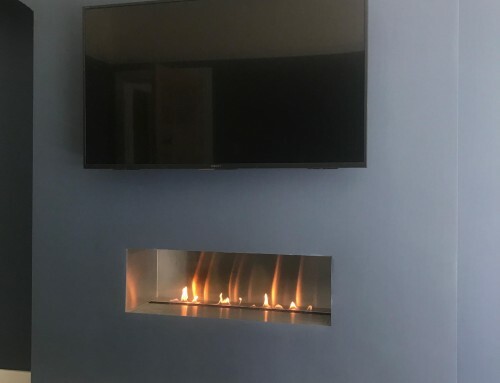 Installation – Martin Grant Homes have installed a number of our flueless gas fires and recess system to enable a TV to be installed above the fireplace. 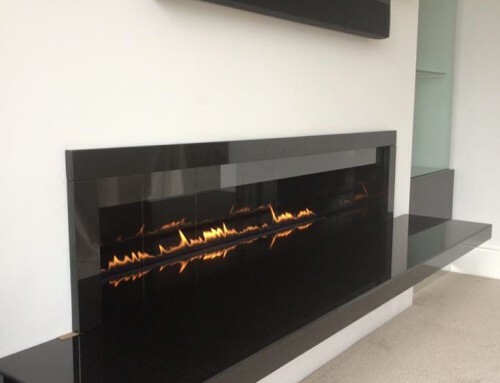 The images show examples of how a very high quality finish can be achieve by engaging a professional building company to perform the works. 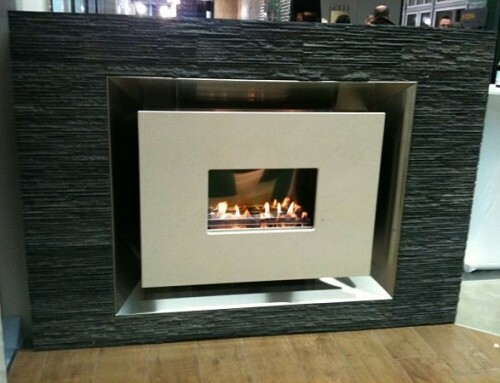 This style of installation is very easy to achieve with minimal installation costs. 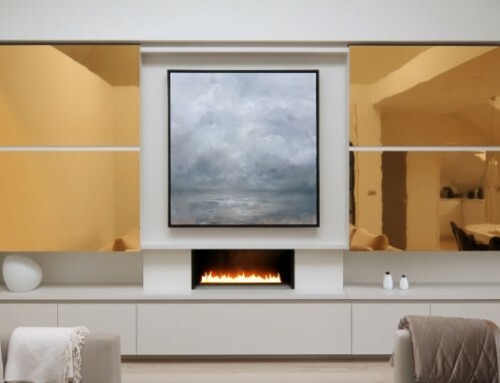 The fire and TV are mounted onto the wall and a chamber is built around the fire. 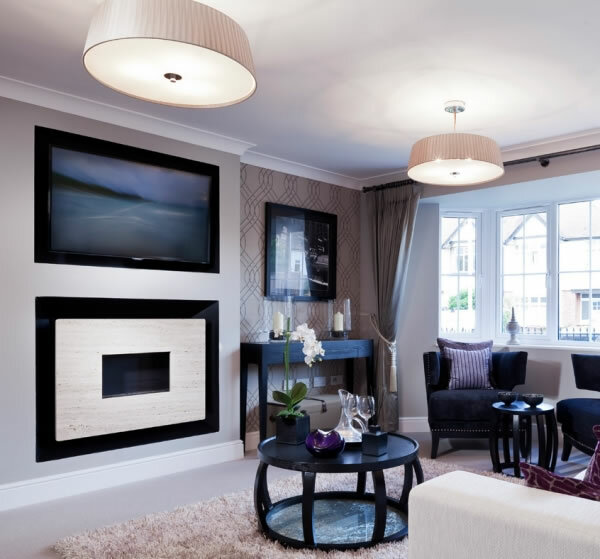 A false chimney breast using stud walling and plasterboard can then be built around to finish the design. 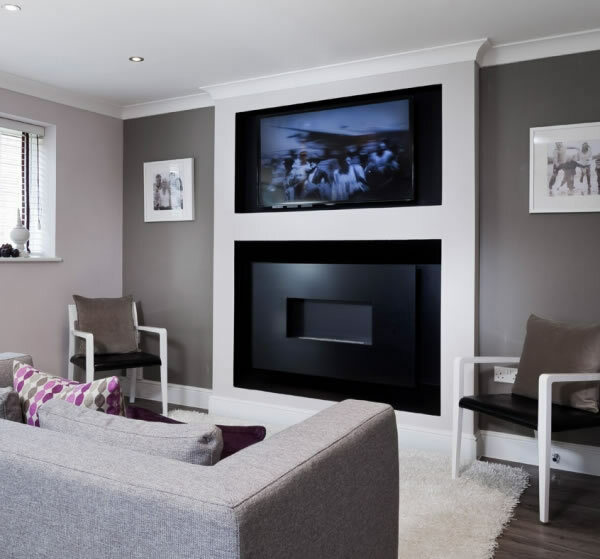 The void created by the chimney breast can then be used to contain and surround sound, tv cables, network cables etc. 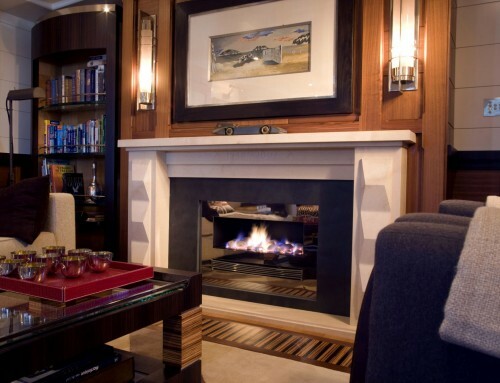 The depth of the chimney breast is minimal 150mm to 170mm depending on the chosen fire. 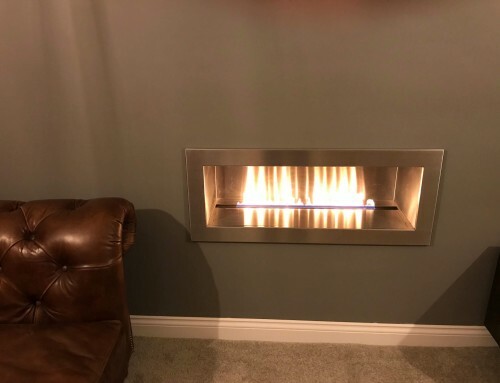 This style of design is very popular with house builders and developers as it solves a problem for minimal cost – Open Flame Fire, 3.5kW heat, No Chimney to Build, 100% Energy Efficiency – all you need is a gas supply.